Political protests in Bahrain have been regular but ineffective in recent months. In February, there was an incident where 72 citizenships were revoked from what human rights group, Amnesty International, described as peaceful protestors. Possibly as a result, opposition to the government has become less vociferous. Sheikh Ali Salman, the leader of the al-Wefaq movement, had been losing popularity because of Wefaq’s failure to stand at the elections but was arrested in December following what was regarded as a deliberately provocative speech by the Bahrain government because of its reference to liaison with a foreign government. He was later charged with inciting a change of government by force. Since when almost all political demonstrations have held images of Salman and called for his release. 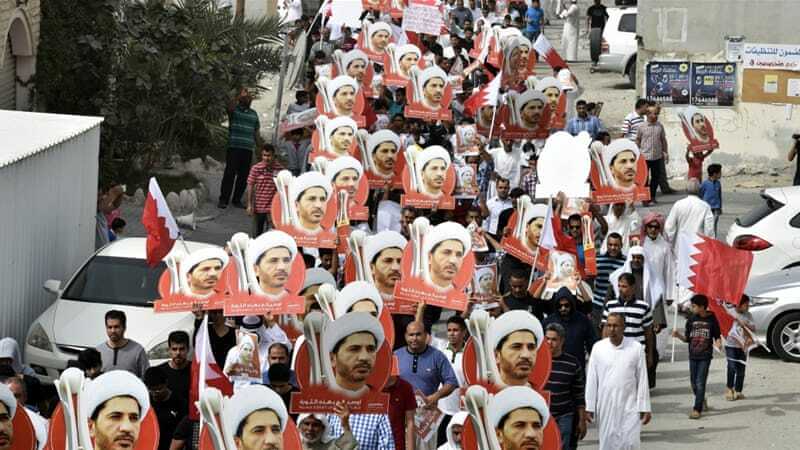 On the 20th May, the Bahrain court deferred Ali Salman’s fifth hearing to the 16th June and protests were held both before and after the ruling in the Shia villages in the northern part of the country. The government had offered modest but significant democratic reform prior to the elections but the reforms on offer were rejected by al Wefaq at the time. Meanwhile poor economic conditions continue to leave many feeling disillusioned. The Bahrain government has the backing of its powerful neighbour, Saudi Arabia, so can feel secure but the failure of the government and the opposition to come to terms will only further polarise society, even if the situation remains relatively calm in the short term. Yemen Peace Talks Indefinitely Postponed: An Ominous Sign? A UN official has announced the Yemen peace talks, that had been set to start tomorrow in Geneva, have been postponed indefinitely. This is bad news for the millions of Yemenis currently in the grip of an escalating humanitarian crisis. Before the conflict began, Yemen had imported 90% of its food. With Saudi warships maintaining a rigorous monitoring process around the country’s sea borders, in order to prevent any Iranian arms reaching the Houthi forces, food shortages have worsened dramatically. The intense fighting and the continued airstrikes have also led to a further breakdown in supply chains and severe damage to infrastructure, thus hindering the distribution of any humanitarian aid that does enter the country. On top of that, Oxfam reports that almost two-thirds of the population now do not have access to clean water. Clearly the civil war is having disastrous effects on the impoverished population of Yemen. Yet, the indefinite postponement of the peace talks indicates that things may still get much worse. Before any talks even take place, the demands of President Hadi’s exiled government already include Houthi forces pulling out of all towns and cities taken in recent months, reforming as a political group only and recognising Hadi’s authority. The peace talks had been described by Houthi leader, Abdul-Malek al-Houthi, as the only solution to the conflict and the Houthis had said that they would participate. So it appears that the exiled government’s demands are currently one of the stumbling blocks preventing any talks – along with the scale of the conflict itself. This perhaps suggests that, with the backing of Saudi Arabia and its coalition allies, President Hadi may now not be so inclined for peace talks without preconditions. He may feel that his position is in the ascendency and that he can make such demands. The destruction caused by Saudi airstrikes, however, will only serve to strengthen popular feeling against him. On the battlefield, no force is clearly dominating the conflict. The Houthis did suffer a first real setback over the weekend, as militiamen allied to Hadi’s government helped retake parts of Dhalea but in the city of Taiz, the Houthis have pushed back opposition forces amid heavy fighting. And all the time, the devastating Saudi airstrikes continue to hit Sanaa and other Houthi positions. The potential peace talks have had no affect on the conflict; likewise, neither has last week’s five-day ceasefire. If anything, it is intensifying. Given that the Houthis have been involved in six rounds of conflict with the Yemeni government since 2000, it seems unlikely that they will simply put down their weapons and go home. As Abdul-Malek al-Houthi has said, peace talks are probably the only solution to the conflict. Saudi Arabia’s involvement, however, will make any even discussion of peace difficult. 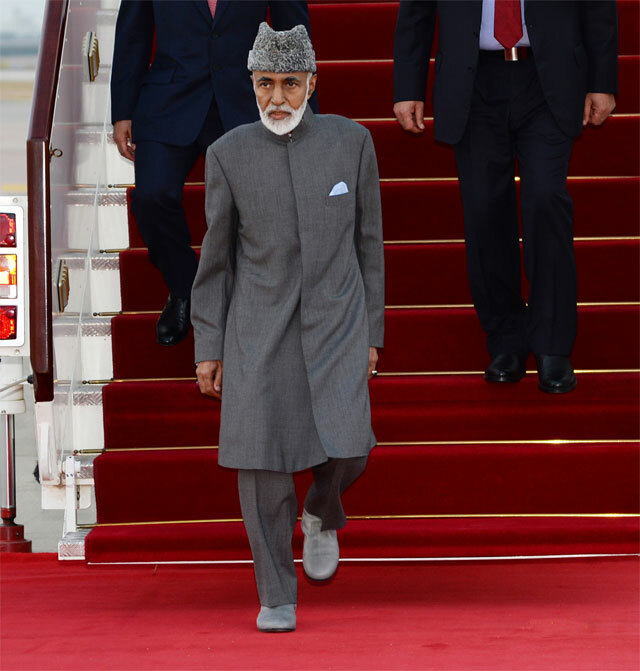 Its intervention has been seen at home as decisive and strong and will therefore require results in order to maintain this impression – the desired result being the reinstatement of President Hadi. This need for a conclusive result could see Saudi Arabia embroiled in a long and difficult conflict. As with civil wars in Libya and Syria, the absence of central power allows extremist groups to thrive and it is no surprise that al-Qaeda’s influence in the south of Yemen continues to grow. It looks, therefore, like there is no foreseeable let-up in the fighting, even as the humanitarian crisis deepens. A preliminary plan for a naval mission to stop the human trafficking into Europe, from Libya, has been approved by the European Union. The mission will include the use of drones to gather intelligence and the deployment of warships and raiding boats in the Mediterranean. A key component of the plan – the ability to destroy boats in Libyan waters that belong to the smugglers – is still awaiting confirmation from the UN Security Council. It is this last issue that has particularly been met with resistance. NGO’s have criticised the proposal as inhumane, with Human Rights Watch describing it as “utter madness” and Amnesty International have highlighted the terrible conditions that the migrants are experiencing in Libya. Likewise, Russia and the US, as well as UN Secretary-General Ban Ki-Moon, have all expressed reservations. Crucially though, it has received criticism from the Libyans themselves and Libya’s UN ambassador, Ibrahim Dabbashi, has spoken openly against it. Clearly, without their consent, it will impinge on Libyan sovereignty and there is also the fear that Libyan fishing boats will be destroyed if mistaken for smuggling vessels. The difficulty with gaining Libyan consent is that it will be needed from both of the rival governments, Tobruk and Tripoli, otherwise UN peacekeeping efforts will be undermined. So the real problem here, the Libyan civil war, comes to the fore. The death toll of migrants drowning in the Mediterranean has been terrible; around 1,800 have died this year. The tragic story of the 750 migrants who perished last month rightly provoked the reaction we are currently seeing and migration from Libya into Europe is a problem that desperately needs to be dealt with. Yet, since the overthrow of Gaddafi, instigated by western powers, Libya has been largely ignored. Despite several years of civil war and considerable suffering, it is only when the issue of migration into Europe raises its head that Libya is being given serious attention. Ironically, it is the very instability and lack of central authority resulting from the conflict that has allowed the people trafficking trade to profit; the effects of abandoning Libya for so long are therefore now directly affecting Europe. Many of the migrants have come from as far as Syria and sub-Saharan Africa in search of a better life in Europe. The fact that people will travel so far in order to get to Libya shows not only how desperate they are, but also that Libya represents by far their best chance of reaching Europe. As well as the need to tackle the traffickers head on, clearly there also needs to be a greater effort to move the rival authorities towards some kind of unity government. That will be easier said than done and certainly does not seem imminent but until some semblance of stability and security is restored to Libya, it will continue to appeal to smugglers and traffickers. 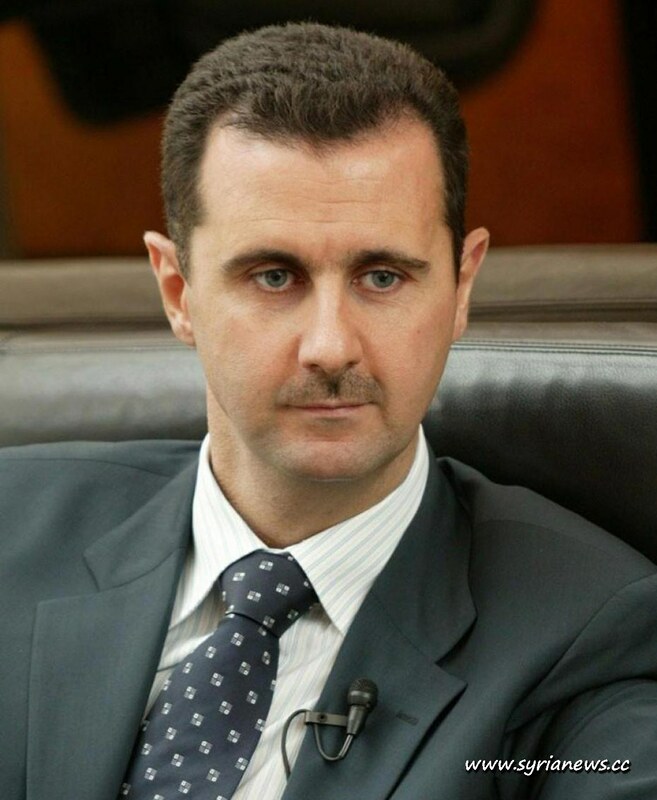 Are the Cracks Starting to Appear for Bashar? Tensions within Bashar al-Assad’s inner circle of command appear to be mounting under the pressure of recent losses. The latest story to emerge is of the arrest of Syrian security chief, Ali Mamlouk. Mamlouk is one of few Syrian officials still in close communication with Bashar, yet he is now reportedly under house arrest for holding secret talks with rebels and planning a coup. An air of mystery surrounds the story and experts have been unable to confirm it, with some just suggesting that he is either in hospital or carrying on his job as usual. A senior regime source, though, claimed Mamlouk had been contacting Turkish intelligence and had also been attempting to talk to Bashar’s uncle, Rifaat al-Assad. The inclusion of Rifaat, who is still popular with parts of the Syrian army and has lived in Europe since also being accused of launching a coup in the 1980’s, suggests that paranoia is perhaps beginning to creep into the government set-up. It comes off the back of several other similar incidents in the last month that can be treated with more certainty. One example being that of Rustum Ghazaleh, Bashar’s head of Political Security, who was killed last month by men loyal to General Rafiq Shehadeh. The General was in turn sacked thus adding to the turbulent political conditions in Damascus. The overbearing influence of Iran on the Syrian government has been suggested as a key reason for the unrest. It is believed that Iranian personnel have been given increasingly important roles in the Syrian government, from military planning to general administration. Mamlouk and Ghazaleh were both born Sunni Muslims and may therefore resent the Shia influence of Iran. Whilst the important role of Iranians is always likely to cause problems and risk disillusionment, the issues would certainly be less prominent if government forces were experiencing success on the battlefield. Under the strain of advancing and more united rebel forces, preventing divisions becomes ever more challenging. Whether Mamlouk has contacted opposition officials or not, the circulation of the story only adds the idea that Bashar is struggling to keep his inner circle together and along with other examples, such as the death of Ghazaleh, it does seem that the cracks are starting to appear. Internal threats to Hamas in Gaza are increasing, with a pro-ISIS Salafist group challenging Hamas in recent weeks. This conflict escalated in the last few days. In an attempt to crack down on the pro-ISIS faction, known as the Supporters of the Islamic State in the Holy Land, Hamas destroyed a mosque on Sunday that was being used by the group as a hideout and followed this by arresting 30 to 40 Salafists. In response Hamas were told by the pro-ISIS group that they had 72 hours to release the prisoners before they would “open all fronts” against Hamas. There was also an explosion outside the Hamas headquarters. Although this explosion has not been claimed by any particular group and may, indeed, be unrelated, it is indicative of the current tension in Gaza. Part of the reason for the escalation of conflict between Hamas and the Salafists may be the violence in the Yarmouk refugee camp in Syria, where the humanitarian situation for Palestinians is desperate and where several executions have been carried out; which perhaps shows the ease with which the conflict in Syria and Iraq can spread through the Middle East. The longer war in those countries continues, the more it will begin to affect its neighbours. The other thing that current tensions between Hamas and the ISIS supporters indicates is the level of simmering unrest in Gaza itself. The poor economic situation in Gaza and the widespread sense of dissatisfaction only serve to feed into the rhetoric that ISIS-affiliated groups produce. They thrive in areas where grievances are high and currently Gaza is proving a fertile hunting ground. The ISIS supporters do not represent a group large enough or well organised enough to seriously oppose Hamas’s authority but they are continuing to ignite unrest and they do have the ability to violate any truce with Israel. Reports are that Hamas’s patrols on the border are being conducted with greater vigilance and in larger numbers, so there genuinely seems to be a fear that the current unrest may trigger renewed cross border violence between Gaza and Israel. As news came through of the re-capture of the Baiji oil refinery from ISIS, the campaign to drive ISIS from Iraq seems to be in the ascendency. During Prime Minister Haider al-Abadi’s recent trip to the US, he proclaimed that 25 to 30 percent of ground previously taken by ISIS has been retaken, a claim also espoused by the White House. ISIS has found it difficult to make advances in the face of US airstrikes, though it is exerting serious pressure in Ramadi, capital of Anbar province, where intense fighting is taking place. Recent airstrikes have largely focused on targeting ISIS in Iraq rather than Syria and it appears to be achieving results. Despite this apparent success, the question remains: in the long term, will bombing ISIS out of Iraq alone save the country? Ethnic and sectarian divisions have worsened during the conflict and some experts believe the country is past the point of no return and a three-way partition may be the only solution. These problems go far beyond just defeating ISIS. The image of ISIS in the West is one of a distinct group, consumed by their own hateful, absolutist ideology. In many cases this may have some truth. Certainly, with recruits willing to come from as far away as Australia, the powerful effect of the group’s ideology is important. 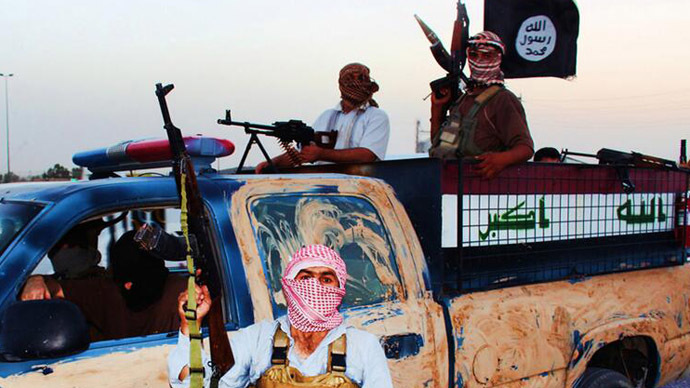 For many in Iraq, though, there is a degree of pragmatism in supporting ISIS. The harsh de-Baathification laws, a legacy of the 2003 Iraq war, left the Sunni population marginalized politically. Add to this the insecurity and historic fears of sectarian violence and increasing number of attacks by Shia militias, and support for ISIS can be seen as a rational choice for some Sunnis. The prominent roles being played by former Baathists in ISIS’s command further demonstrates this point; men such as Fadel al-Hiyali and Adnan al-Sweidawi were important army officers under Saddam and now provide the same function for ISIS. It explains in part why ISIS has been so successful on the battlefield. The Baath party began showing Islamist tendencies in the 1990’s, as shown by the 1993 Return to Faith campaign which put a greater emphasis on Islam in Iraqi life including the adoption of some aspects of Sharia law. It was, however, originally a secular Arab nationalist movement and never adopted the strict Salafi ideology that ISIS adheres to. Baathist involvement in ISIS can therefore be seen as a marriage of convenience brought about by a continuing desire to regain power and the perpetual nature of the de-Baathification laws. The same Baathists were involved in Sunni insurgencies after US occupation, and will continue to instigate violence even after the potential demise of ISIS. If Iraq is to survive then some form of national reconciliation is an absolute necessity. Perhaps the South African Truth and Reconciliation model, along with the elimination of the de-Baathification laws could prove to be effective in addressing past grievances. Without this there is little chance of preventing the insecurities that plague the country from reappearing in new forms. Atrocities committed by Shiite militias will hinder this process in the long term. Furthermore, there are many structural problems crippling the country. The effects of war have left many homeless, with 90,000 displaced by fighting in Anbar province in just the last few days; housing and infrastructure in towns like Tikrit have been laid waste; unemployment has almost doubled in the last two years to over 25 percent; the government has a huge budget deficit; and there is an ongoing dispute about oil revenues with Kurdistan. Serious economic problems, such as these, have historically been a breeding ground for ethnic conflicts. With Sunni, Shiite and Kurdish militias now heavily armed, there is the potential for sectarian and ethnic differences to continue violence long after ISIS. So although military aid seems to be helping in the fight against ISIS, it is humanitarian and economic aid that may do more to securing Iraq’s long-term future through establishing the structural basis for a long-term peace. The US last week pledged $200 million in humanitarian aid but it is less than was sought by Abadi and other donors have been less forthcoming. Yemen provides the latest example of a clash of policy between the two Middle-Eastern powerhouses, Iran and Saudi Arabia. Iran is widely thought to be backing the Houthi rebels, who seized Sana’a and ousted President Hadi during a coup in September last year – although the Houthis have certainly not depended on Iran. This spread of Iranian influence has prompted a drastic response from Saudi Arabia and its allies in the Gulf. On the 26th of March they began bombing Houthi-held areas to devastating effect; the UN human rights commission has already reported close to 400 civilian casualties with many more injured. 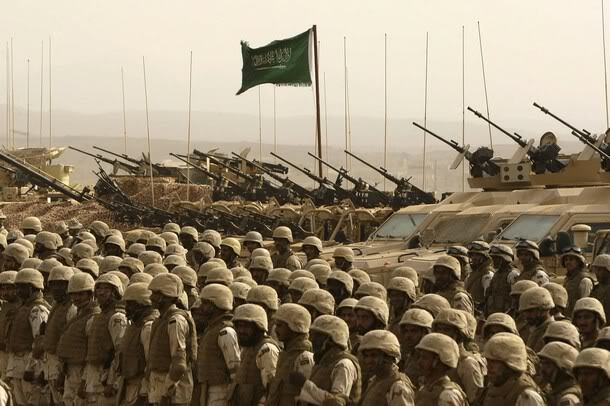 On top of consistent bombing, Saudi Arabia has mobilised 150,000 ground troops, strengthened its border with Yemen and conducted talks with Egypt over the last few days about a ‘major strategic exercise’. The instability that conflict in Yemen brings to the Gulf is part of the reason Saudi Arabia is showing such concern and they have stressed the need to back the legitimacy of Hadi’s government, but it is the influence of Iran that is the driving force behind the decision-making. Speeches at the Arab League last month, for example, consistently referenced the threat of foreign or outside parties in the Yemen conflict as a key issue and Hadi, who is now in Saudi Arabia, has often referred to the Houthis as ‘Iranian puppets’. Far from being the sectarian conflict that some see this as, it is just two states vying for power. Saudi Arabia’s alliance with Egypt, who continues to crack down on the Sunni Muslim Brotherhood, best demonstrates this. Iran has always denied any military involvement in Yemen and has condemned Saudi Arabia’s actions. Furthermore, Iranian foreign minister, Jared Zarif, has today emphasised the need to ‘end this bombardment and all the bloodshed’ and stressed that Iranian influence will be used to ‘bring everybody to the negotiating table’. Iran had been seen as a cause of conflict in Yemen; now, suddenly, Saudi Arabia is fully committed to a military conflict that may prove very complicated and Iran is portraying itself as the peace-broker. Iranian involvement has been very hard to prove. Saudi Arabia’s obvious show of strength therefore leaves them outmanoeuvred, though not outgunned, as such transparent involvement means civilian casualties can now be pinned on them. Clearly, the prospect of US sanctions on Iran being lifted has created a fear of Iranian dominance in the region. Through all the geopolitical blustering, the fate of the people of Yemen has too often been over-looked. In the Gulf’s poorest state, the death-toll is mounting (including increasing numbers of civilians) there are widespread food shortages, and unrelenting damage to infrastructure. As the chaos increases, so too does the disruptive presence of al-Qaeda. Although foreign involvement may be the only answer, the bombing campaign will only worsen the situation and leave the country more broken and fragmented than before. Geopolitics and the struggle for regional dominance, however, continue to overshadow the humanitarian issues. Israel’s Prime Minister, Benjamin Netanyahu, has now seemingly performed two U-turns on the matter of the two-state solution in the space of only a few weeks. He has changed his stance either side of his re-election, leaving confusion over what he actually believes but also providing a further understanding of the cynical way in which he uses the Middle East peace process as a political tool. With election pressure mounting, Netanyahu changed his stance. In 2009, Netanyahu had outlined his support for a two-state solution, in a speech at Bar-Ilan University, in Israel. He furthered this vision with another speech on the subject to US congress in 2011. Yet, in an interview days before the election, he stated “anyone who is going to establish a Palestinian state today and evacuate lands, is giving attack grounds to radical Islam against the State of Israel”. Now, within days of his re-election, in an interview with NBC, Netanyahu has said, “I want a sustainable, peaceful two-state solution”. 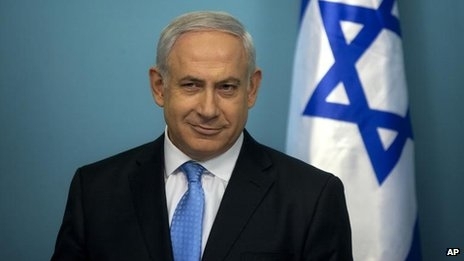 The first change of heart seems to have been a ploy to win the support of right-wing voters, whilst the second is an attempt to repair Netanyahu’s faltering relationship with the US; both pragmatic political moves rather than ideological shifts. The ease with which he is willing to change his views on the idea of a Palestinian state undermines the whole concept, regardless of what he actually believes. In a peace process where trust is so important, the fickle nature of Netanyahu’s rhetoric to suit his own needs, will leave anyone still hopeful of progress both confused and frustrated. If there is no hope of a Palestinian state somewhere down the line then those looking to the peace process for a solution will increasingly look elsewhere for answers. It is this lack of hope that has driven many Palestinians to arms in the past. So where does this leave the Middle East peace process? In truth, it has been stagnant for some time. Netanyahu’s recent comments will not disrupt any current initiatives; there is currently nothing to disrupt. His comments do seem to suggest that any likelihood of a Palestinian state being created is non-existent for the foreseeable future. It is a view backed up by Barack Obama. When speaking on prospects for a Palestinian state last week, he professed, “What we can’t do is pretend there’s a possibility for something that’s not there”. There are many who have always doubted whether Netanyahu really believed in the two-state solution and, for them, his comments will have only served to confirm this suspicion. Certainly, they confirm the view that Netanyahu’s re-election is not a positive step towards the creation of a Palestinian state. The policies of the US and the coalition in the Syrian civil war have been met with disdain by Syrian opposition leader, Khaled Khoja. In a speech in France last week, he described US plans to arm Syrian rebels over the next three years as a “joke” and claimed that coalition support for Syrian rebels is flimsy in comparison to the backing that President Assad has from his Russian and Iranian allies. Khoja does have a point; the West has repeatedly voiced its support for moderate Syrian rebels but has also repeatedly failed to live up to its promise to make any serious impact. The coalitions’ contribution pales in comparison to the financial strength ISIS enjoy, reportedly generating US$2million in revenue per day, according to the International Business Times. Whilst Khoja claims Assad’s forces are being significantly aided with men and aircraft from Iran. As the coalition’s involvement focuses on the destruction of ISIS, Assad is also effectively being indirectly aided in the conflict. US Secretary of State, John Kerry stated that “we will have to negotiate in the end”, enforcing the view that Assad’s position has strengthened. The issue is: now that his position has strengthened and he no longer appears close to defeat, the negotiation and the solution is likely to have to involve him. This puts negotiators in a difficult position of trying to re-build a new government that involves Assad. ISIS has indirectly sealed the fate of Assad and Syria. Despite this, the opposition are unwilling to budge on their stance and are not keen on negotiating with Assad. Clearly the defeat of ISIS has become the focus of coalition forces but more pressure needs to be exerted on Assad and Russia if any solution between other forces is ever to be reached. The rise of ISIS in Syria was a symptom of the civil war, and a power vacuum in some areas has allowed them to creep in and commandeer power and control. If there is any hope of a resolution, the roots of the conflict need to be addressed. His response, on Syrian television, to comments made by Kerry was telling: “Any talk on the future of the Syrian President is for the Syrian people and all the declarations from the outside do not concern us”. He is in a strong enough position at this point to dismiss the vague olive branch that Kerry has extended. Despite Khoja’s best efforts at raising support, there is little left of the Free Syrian Army who seemed to have faded into obscurity. The money and success of more extreme groups such as Jabhat al-Nusra and ISIS has led to thousands leaving the Free Syrian Army to join them. The lack of notable coalition backing can be blamed for this however it is still not too late to act. Without the financial and military backing needed for success, the lure of ISIS becomes greater. Likewise, success of Assad’s forces makes joining any moderate rebel groups less appealing. There is no end in sight to the conflict as it stands but with over 200,000 dead and millions left homeless, we cannot simply assume that there can be no solution. Stefan de Mistura who obsessively pursued the Aleppo ceasefire has suffered a huge setback after the rebels rejected the UN brokered plan. Backing for rebels must be increased. Pressure on Assad is an important part of the battle against ISIS in Syria; if his position is weakened, he is more likely to enter into some form of negotiation – although the chances of that will be slim – thus allowing for a more focused effort against ISIS. A significant show of strength from any rebel faction could exert this pressure. The Holy Koran states that in the last days the ‘mufsidin fi al-ard,’ (those who corrupt the earth), will appear. Some of the learned ‘Ulama equate ISIS with the ‘mufsidin fi al-ard’ — “those who wage war against Allah and His Messenger and strive upon earth [to cause] corruption” as recorded in Chapter 5, verse 33 of the Holy Quran. We are appalled at the savage atrocity committed in the act of execution of the Jordanian pilot Ra’id Moath al-Kassasbeh and, indeed, by the brutal beheadings of so many innocent aid workers and journalists, as well as by the martyrdom of the Coptic Christians (young men from the same village who died with the name of the Messiah on their lips as any who have watched the horrific video will be aware). Some claim the kind of violence being exercised by ISIS is part of the past, of the ‘jahiliyah,’ the pre-Islamic era. Some Muslim scholars go further and argue that, members of ISIS and their supporters are behaving in a way that is thoroughly un-Islamic. Some of these scholars suggest that they resemble the “false Muslims” referred to in Surah al-Munafiqun, the 33rd chapter of the Holy Koran and should be treated as such. Their approach of dividing the world into ‘Dar al-Islam’ (the House of Islam) and ‘Dar al-Harb’ (the House of War) is not valid. Having said which, we caution against the use of indiscriminate force to destroy ISIS. There has been too much civilian collateral damage in the liberation of Kobani and in the bombing of Durna, and we must move with careful deliberation in acting against ISIS lest we increase sympathy for this renegade terrorist group.